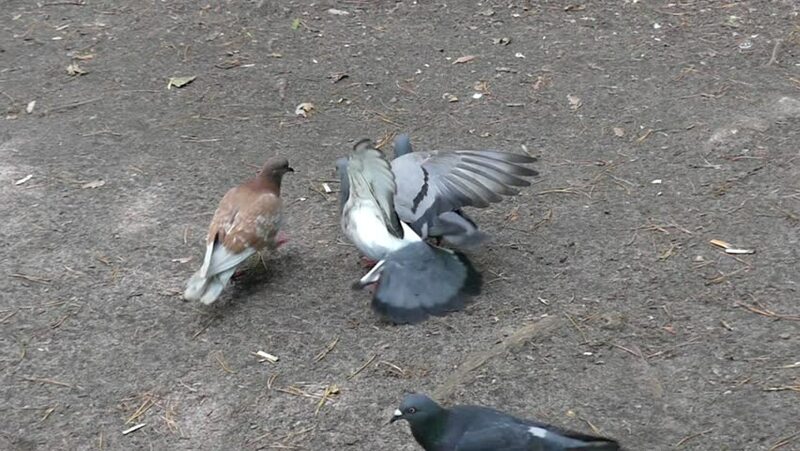 Large Dove Drives Away Another Pigeon at Feeding Time. the Action in Real Time. hd00:19Gaggle of geese feeding at a muddy fresh water lagoon at an oasis at Al Qudra lakes in the desert before entering the water, in Dubai in the United Arab Emirates in Arabia. sd00:391930s: A beginning swimmer swims using a sand crawl stroke, in seawater, during a swimming lesson, in 1938. 4k00:13Atlantic Ridley sea baby turtles crossing the beach. Newborn tiny turtles heading to the sea waters for the first time. Turtle hatchlings on the sands of the beach. Wild turtles in the nature reserve.